THE CIA - HITLERY TEMPLATE FOR STEALING THE ELECTIONS!! The above diagram illustrates how the INVENTION DESIGNED BY LEADER TECHNOLOGIES was stolen. The crypto-keys designed by LEADER TECHNOLOGIES, the new Social Media Network Technology invented by Leader Technology was stolen by The British Privy Council and their CIA cut-outs, by Federal Judges and by a SCOTUS. The Bitcoin Scam on Diego Garcia Island. (See the work of Christopher Earl Strunk for details on this). 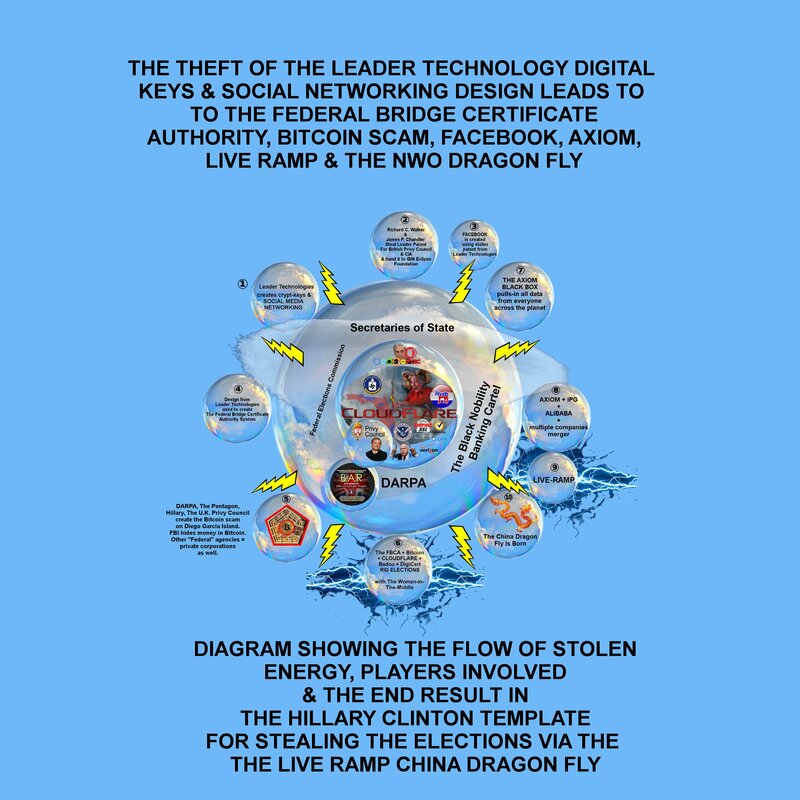 The Federal Bridge Certificate Authority System. The Axiom Black Box now converted to Live Ramp and merged into The China Dragon Fly NWO System of Global Elections rigging via the Federal Bridge Certificate Authority System which runs via Cloudflare & Entrust & DigiSearch + GlobalSign + Comodo RSA + GoDaddy & Amazon + Microsoft + Verizon THE GLOBAL ELECTIONS RIGGING SCAM VIA THE CONTROL OVER THE PKI - PUBLIC KEY INFRA-STRUCTURE. The Internet of Things is used to spy on the planet. ► The Digital Keys are used to Rig The Elections in all countries. They are used also to steal data and access all data in all governments globally and from all citizens globally. ► The Swiss Octogon Templars command the scam. There sits the headquarters of the CIA and The Bank For International Settlements. Below them the puppets of The Black Pope, The Grey Pope, The Jesuit Orders, the Knights of Malta Banking Cartel, The Vatican, The Queen & The British Privy Council, the Bank of England. The 3 city - State is ruled by this NWO mafia. 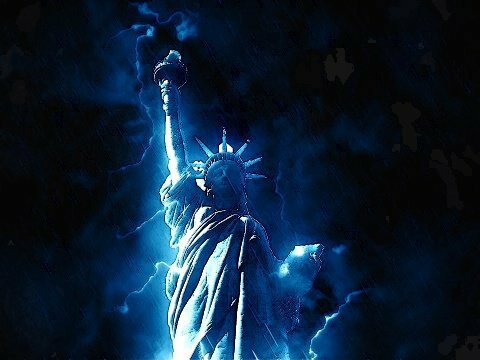 The U.S. is a puppet of Israel, which is proxy for the Nazy Queen. ► The elections are rigged in the U.S. in every state via the DIGITAL CERTIFICATES issued through The Federal Bridge Certificate Authority System. Multiple companies hold the keys. They are all basically being run through THE CLOUDFLARE CENTRAL HUB which is connected directly to DIGIcert, which speeds up the traffic. This CIA front company run by Orlando Bravo works with his partner CIA cut-out Michael Chertoff (CREATED THE PATRIOT ACT as part of THE SCAM AND THE PLAN to dominate and take-over the U.S.) who Orlando sold Entrust to. They are all CIA stooges for Hillary and The British Privy Council. Any traitor willing to run the U.S. government for The British Empire is given prominence within THE GLOBAL SCAM. FLORIDA ELECTIONS HORRIBLY RIGGED. ALL STATES RIGGED VIA THE DIGITAL KEYS TO THE INTERNET. ▶ The Dragon-Fly New World Order Exposed! !